Click the button below to add the Kids Organic Cotton Tights to your wish list. 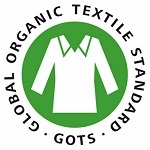 Timeless tights for your little one: Naturally 100% GOTS certified organic cotton. With stretchy waistband.